Medical ethics is a system of moral principles that apply values and judgments to the practice of medicine. These principles apply to all who work in the healthcare field. 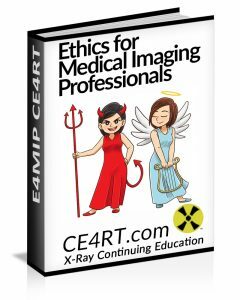 Radiologic Technologists have an obligation to understand the theories, debates, and philosophies of medical ethics since it applies to their everyday life. Acres of Skin: Human Experiments at Holmesburg Prison is a 1998 book by Allen M. Hornblum. The book documents clinical non-therapeutic medical experiments on prison inmates at Holmesburg Prison in Philadelphia from 1951 to 1974, conducted under the direction of dermatologist Albert Kligman. The Doctors’ Trial (officially United States of America v. Karl Brandt, et al.) was the first of 12 trials for war crimes of German doctors that the United States authorities held in their occupation zone in Nuremberg, Germany after the end of World War II. Twenty of the 23 defendants were medical doctors and were accused of having been involved in Nazi human experimentation and mass murder under the guise of euthanasia. Josef Mengele, one of the leading Nazi doctors, had evaded capture. Greenberg v. Miami Children’s Hospital Research Institute was a May 29, 2003, decision by the United States District Court for the Southern District of Florida which ruled that individuals do not own their tissue samples when researchers take them for testing. Henrietta Lacks was an African-American woman who was the unwitting source of cells (from her cancerous tumor) which were cultured by George Otto Gey to create an immortal cell line for medical research. This is now known as the HeLa cell line. As the first human cells grown in a lab that were “immortal” (they do not die after a few cell divisions), they could be used for conducting many experiments. Demand for the HeLa cells quickly grew. Since they were put into mass production, Henrietta’s cells have been mailed to scientists around the globe for “research into cancer, AIDS, the effects of radiation and toxic substances, gene mapping, and countless other scientific pursuits”. Henrietta’s husband, David Lacks, was told little following her death and members of the Lacks family were kept in the dark about the existence of the tissue line. When its existence was revealed in the media in 1976, family members were confused about how Henrietta’s cells could have been taken without consent and how they could still be alive 25 years after her death. Henrietta Lacks had an unusual type of cancer. Cells from her tumor were cultivated and used for research without her familie’s knowledge or permission. Criticks have claimed that this was a form of exploitation and that the family should be compensated. Formed in 1994, the Advisory Committee on Human Radiation Experiments (ACHRE), released over 1.6 million pages of classified records. The records made clear that since the 1940s the Atomic Energy Commission had been sponsoring tests on the effects of radiation on the human body. American citizens who had checked into hospitals for a variety of ailments were secretly injected with varying amounts of plutonium and other radioactive materials without their knowledge. 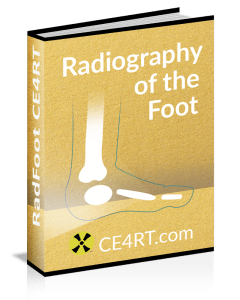 Most patients thought it was “just another injection,” but the secret studies left enough radioactive material in many of the patients’ bodies to induce life threatening conditions. Such experiments were not limited to hospital patients, but included other populations such as those set out above, e.g., orphans fed irradiated milk, children injected with radioactive materials, prisoners in Washington and Oregon state prisons. Much of the experimentation was carried out in order to assess how the human body metabolizes radioactive materials, information that could be used by the Departments of Energy and Defense in Cold War defense/attack planning. The final report issued by the ACHRE can be found at the Department of Energy’s website. The Tuskegee syphilis experiment was an infamous clinical study conducted between 1932 and 1972 by the U.S. Public Health Service to study the natural progression of untreated syphilis in rural African American men who thought they were receiving free health care from the U.S. government. The 40-year study was controversial for reasons related to ethical standards; primarily because researchers knowingly failed to treat patients appropriately after the 1940s validation of penicillin as an effective cure for the disease they were studying. Revelation of study failures by a whistleblower led to major changes in U.S. law and regulation on the protection of participants in clinical studies. Now studies require informed consent, communication of diagnosis, and accurate reporting of test results. Willowbrook State School was a state-supported institution for children with intellectual disabilities located in the Willowbrook neighborhood on Staten Island in New York City from 1947 until 1987. Throughout the first decade of its operation, outbreaks of hepatitis, primarily hepatitis A were common at the school. This led to a controversial medical study carried out there between the mid-1950s up to the 1970s by medical researchers Saul Krugman and Robert W. McCollum, who monitored to gauge the effects of gamma globulin in combating it. ‘Darkness in El Dorado: How Scientists and Journalists Devastated the Amazon’ is a book written by author Patrick Tierney in 2000 that accuses geneticist James Neel and anthropologist Napoleon Chagnon, among other allegations, of exacerbating a measles epidemic among the Yanomamo people of the Amazon Basin and conducting human research without regard for their subjects’ well-being.